First light greets North Window and reveals Turret Arch. Arches National Park features hundreds of natural arches. 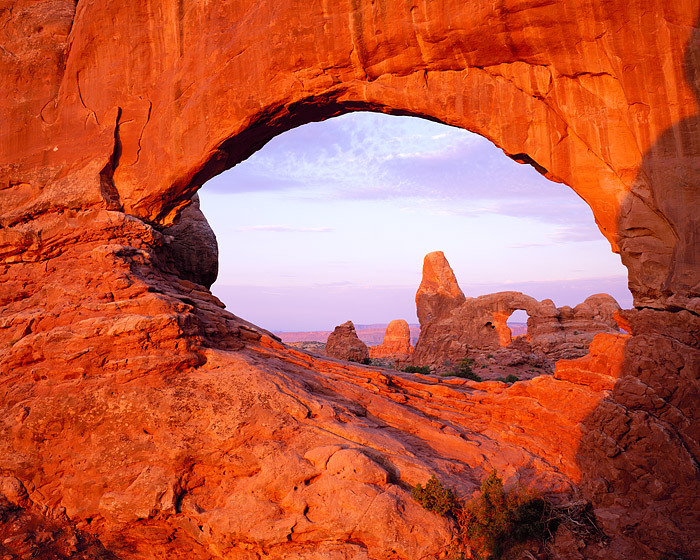 This popular location allows one to view one arch through the other. Photo © copyright by Thomas Mangan.